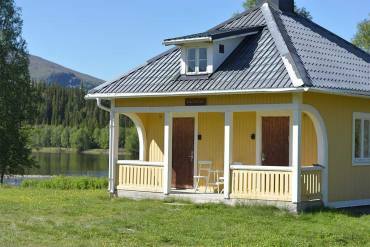 At the foot of the mountain Storsnasen with the fishing river Enan only a few meters away lies this hotel with exciting history. This summer we will open our nature park with adventure for the whole family. There will be barbecue areas, canoe rental, mountain garden, rabbits, sheep and mountain cows. Open daily from 4 pm to 8 pm from 1/7 to 1/9. A really good activity for the whole family is a visit to our nature park. Here are sheep, cows and rabbits. Paddle canoe, visit the dreams cave and enjoy a nice coffee. Our vision is to build several adventure courses and fun walks for the whole family. 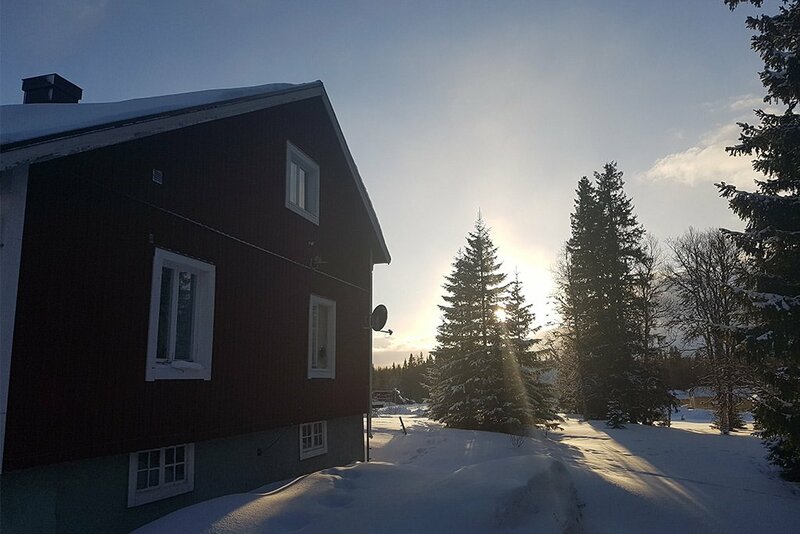 30 minutes from Åre, close to the train station and to Storulvån. For guests traveling by train or bus, we offer transport to Storulvån as well as pick-up for those who want to walk, for example. Jämtland triangle when booking full board. Beautiful room with outstanding location in the middle of the mountains. 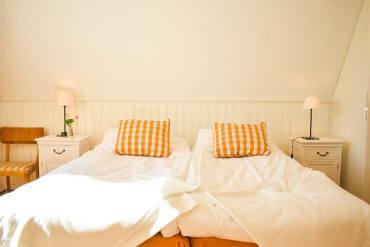 Stay from 695 kr per night incl. really big breakfast buffet. A beautiful double room located on the ground floor. The room has its own toilet and sink, shower is located directly outside. Beautiful double room located one floor up with its own shower and toilet and views over the river. Price from 695 SEK per person incl. breakfast buffet. 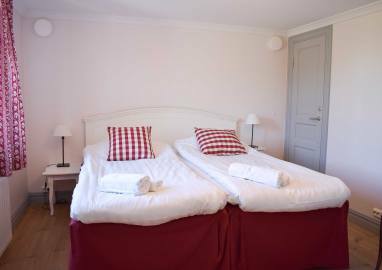 A very beatuiful twin bedroom located on the second floor with windows to the north. The room has its own toilet, shower and sink. One of our largest rooms located on the ground floor. The room has its own toilet and sink, shower is located directly outside. 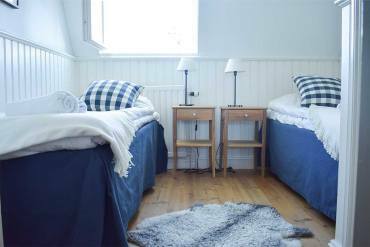 A very beautiful twin bedroom located on the second floor with windows facing the south. The room has its own toilet and sink and shower is just outside. 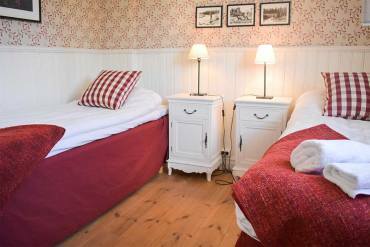 The room with the best view - located upstairs with magnificent views over the mountain Storsnasen. The room has its own toilet and sink and shower is just outside. 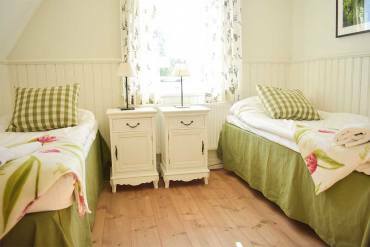 A cozy twin bedroom located on the second floor with views over the river. 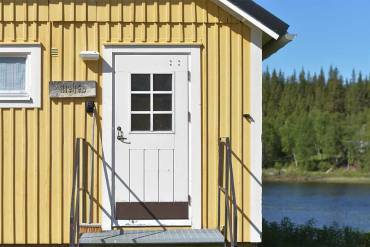 Daggkåpan has simpler amenities with a shared toilet and shower in the corridor. 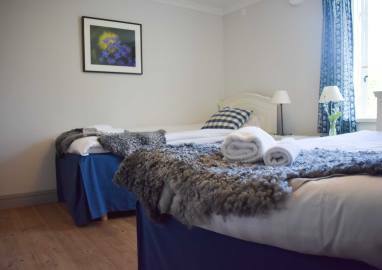 A comfortable room with to single beds that can be moved into a double bed. The room is upstairs with views to the south. It has a shared toilet and shower in the corridor. 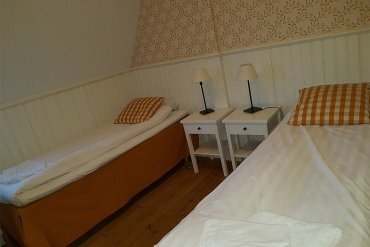 Stay comfortable in our hostel. Perfect for groups and the price conscious traveler. Here you can make your own food or add full board, linen and final cleaning. 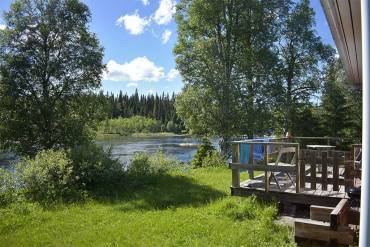 Very beautifully located cabin near the river Enan in a secluded location. The cabin has a very simple standard but everything you need to have a pleasant stay. Our largest cabin for the family or friends who like to stay together in one big room. The cabin has toilet, shower and kitchen. Here are room for four guests, close to the hotel this cabin offers a comfortable accommondation with breakfast. Comfortable lodging for the couple or the small family. The room is in the cabin Bläckhornet and here is a bunkbed and a small table. This cabin is booked with fullboard. A very good accommondation for the large family or group of friends. Here you have a comfortable living in your own house to a good price. 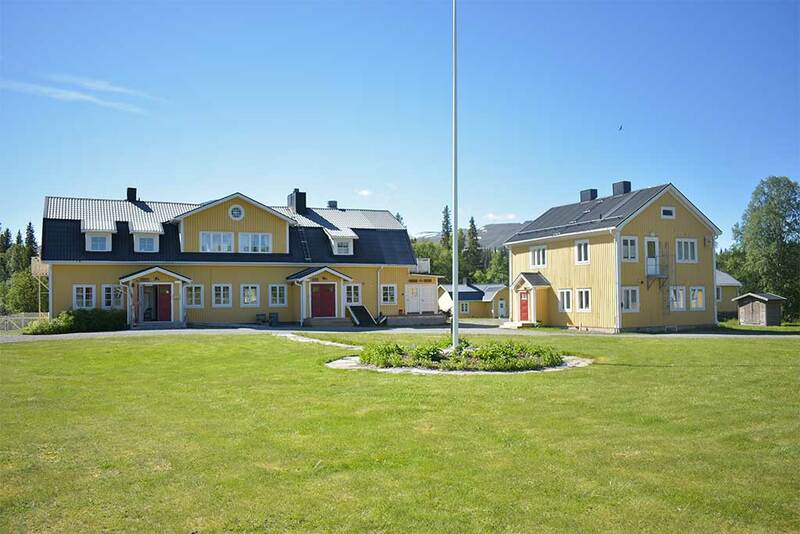 Enjoy a large kitchen, comfortable beds, fireplace and amazing views over the mountain Storsnasen.